The Gfinity FIFA Series February kicked off this Saturday, as some of the top Xbox & PS4 FIFA 19 players in the world came down to the Gfinity Arena in London to find out who is the best of the best! The Xbox side of the competition saw heavy favourites like Megabit & F2Tekkz impose their will and show why they are differentiated competitors; Tekkz won his match 6-3 against Maxevip and the aforementioned Megabit also defeated Sakul 7-2. On the PS4 side of things, the Gfinity January Series champion, FCB Nicolas99fc had a competitive match with MrD0ne, but ultimately defeated his opponent 4-3. Other matches in the console saw VfBDrErhano defeat Abo_hws 5-2, Roma Zimme beat FUTWIZ Marko 4-3 and Agit Power get the upper hand against NYC Chris with a final score of 3-2. 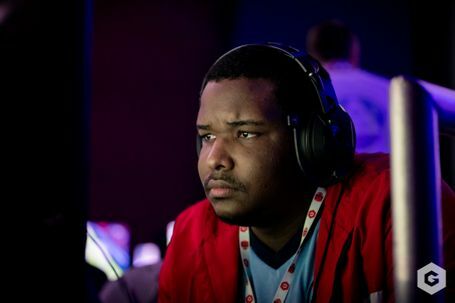 F2Tekkz once again proved why he is the current king of Xbox and defeated Marcus Gomes 7-1. Another key player who got an important win was PSG Daxe, who managed to get the best of SPQR Senna with a score of 4-2. Other Xbox matches saw Italian champion ALKES Denuzzo take on Janoz and close the match with a score of 4-3, and Zidane 10 defeat Sakul 7-5. On the PS4, a big upset happened as Agit Power managed to defeat the number one PS4 player in the world, FCB Nicolas, with a score of 6-5. Another key match up saw back to back Gfinity Elite Series champion, Roma Zimme, completely dominate artigriezmann and close the game with a whopping 13-1(!). 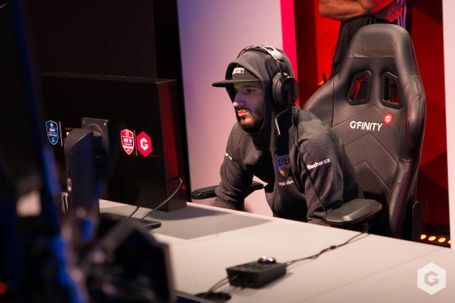 With some of the players already being able to qualify to the playoffs, the Xbox side saw PSG Daxe defeat Megabit 4-2 and F2Tekkz get a 4-1 win against ALKES Denuzzo, both moving forward in the competition without the need to play another game in the group stage. On the PS4, it was Roma Zimme who advanced to the next round after defeating Agit Power 4-3 and also VfBDrErhano, who beat Daniel Aguilar 6-4. With some players already facing elimination, the stakes were higher than ever! On Xbox’ Megabit beat ALKES Denuzzo 4-3, SPQR Senna defeated Marcus Gomes 6-4 and Zidane 10 finished blackarrow889 7-5, all securing their spots in the playoffs. On the PS4, FCB Nicolas was finally able to advance after a dominant 9-2 victory over TG Zezinho23. Other players that also managed to secure their spot in the playoffs were NYC Chris, who was able to defeat Stefano Pinna 5-3 and Agit Power, who beat Daniel Aguilar 3-2. With the final round finally upon them, the remaining players had to fight for the last remaining spots. On Xbox they went to ALKES Denuzzo, who beat Rebel Painter 4-1, and Sakul, who put an end to Aboazza’s tournament run by defeating him 5-4. On the PS4, the last remaining spots were filled by PSV Pinna who eliminated LostinTheWavez 9-7, Daniel Aguilar who dominated artigriezmann 9-2, and TG Zezinho23 who also had a dominant performance over Abo_hws and closed the game 8-1. With the Swiss Group Stage now complete, time to find out the tables for tomorrow’s PS4 & Xbox playoffs. Don't forget the Gfinity Series February LQE concludes this Sunday, 11:45 AM GMT!